Gorgeous, solid log home in absolutely perfect condition. 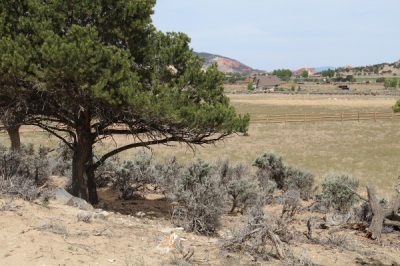 Located on a beautiful 1.46 acres on the western edge of Teasdale with a lovely view of the Cockscomb and Boulder Mountain. Master bedroom has its own balcony and hot tub. Very cozy great room and open loft with sleeping space. Two bedrooms, loft and three bathrooms. Covered front porch the length of the house is an ideal place to enjoy the amazing view and Teasdale's fresh air. Laundry, utility room and 3 car garage are located on the lower level. Sellers are not considering any offers until the adjacent Pine Shadows Cabins (TE-388) are sold. 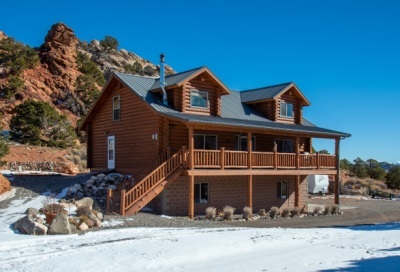 HOUSE IS OFF MARKET AND NOT AVAILABLE FOR SHOWINGS UNTIL PINE SHADOWS CABINS ARE SOLD. Country living in the pretty, little, sought after village of Teasdale, near Boulder Mountain. 2 separate parcels, one with pasture & trees and one with the home overlooking the town with nice distant views. 4 bedroom, 2 bath home is in very good condition with spacious rooms & many custom wood features. Solid wood doors and trim. Perfectly sized and spaced windows for the light and views. Daylight lower level completely finished. Very comfortable and ideal for year around living, second home or vacation rental. Huge closets and plenty of storage. Irrigation water for the pasture. Livestock permitted. 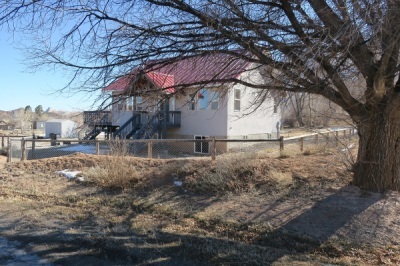 10 E. Rustler St.
North Slope of Boulder Mountain- HUGE PRICE REDUCTION!! 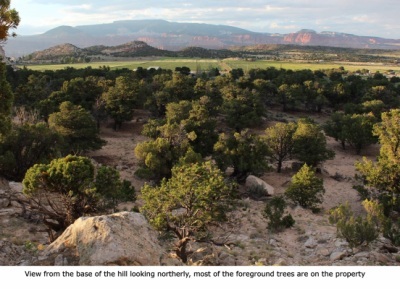 One of the highest lots in Three Creeks with a view that is unsurpassed. 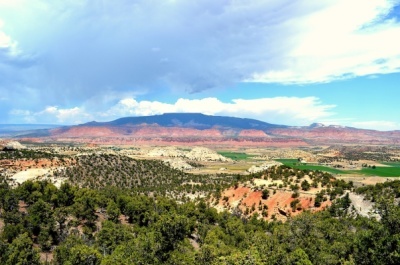 24.8 acres overlooking valleys and mesas with mountains, deserts and colorful rock formations of Teasdale and Capitol Reef. There is electricity and phone at the lot line and the property has a well permit. Gated access and private road. Complete privacy. Lot 5, Three Creeks. Five undeveloped acres with pretty views to the north and west. 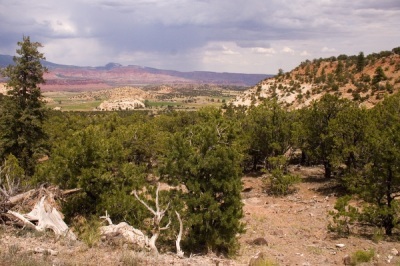 Visible are the nearby Navajo cream colored formations and the stunning red cliffs near Torrey. Private road access. Electricity at property line. Must drill well for water. $72,000. 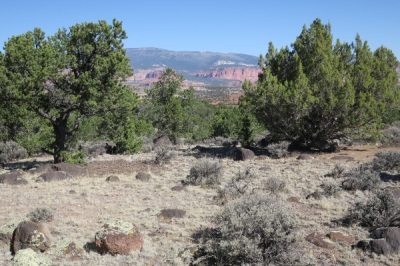 Lovely unspoiled land in the upper Donkey Flats area with incredible views in every direction. Certificated well and many terrific building sites from which to choose. Solar will work well since electricity is a distance away from the property and sun is plentiful. Extremely private and beautiful. 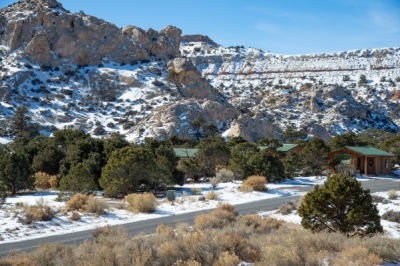 Seller is in the process of constructing private drive from Donkey Flats Road. Approximately 1600 South and 1900 East - near the end of Donkey Flats Road.